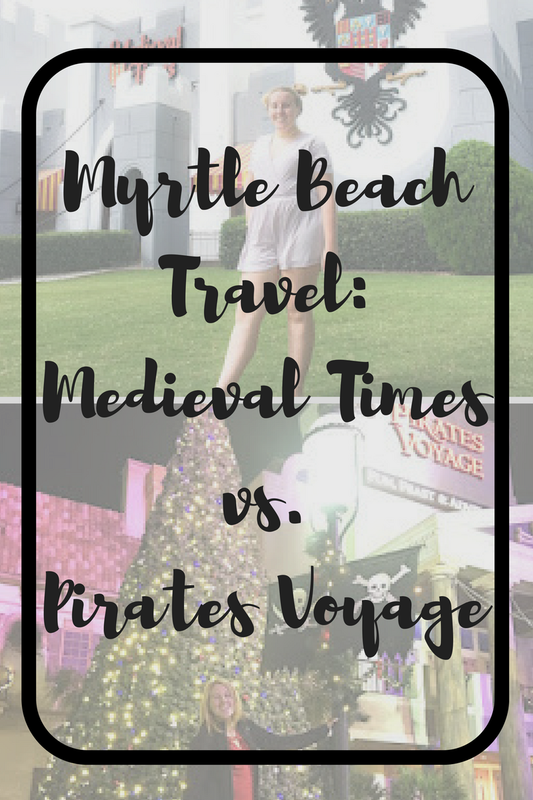 If you're visiting Myrtle Beach this summer and trying to decide which dinner theater to visit - Pirates Voyage or Medieval Times - I'm sharing my opinions on both to help you make the decision! General admission for Medieval Times costs $53.95 (plus fees) for an adult. Regular admission tickets for Pirates Voyage are $49.99 (plus fees) for an adult. We got our Medieval Times tickets on Groupon for a pretty nice discount, but I haven't seen Pirates Voyage tickets on Groupon. Both shows also offer more expensive tickets for preferred seating. The Pirates Voyage facility is nicer than Medieval Times in my opinion. It's newer than Medieval Times so that makes sense, but one important difference is that MT has a dirt floor in the show ring, while PV has a pool and built structures in their show ring. Because of the horses used in the MT show, there is a pretty intense smell when you enter. I got used to it after a while, but it's definitely there. The food served at the locations are fairly similar. 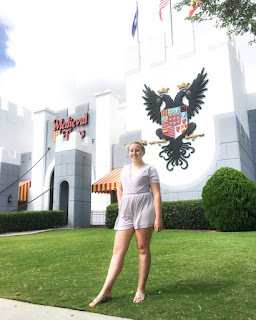 Personally, I liked the food at Medieval Times but they both involve basically a three course meal. I'm disappointed with the drinks offered at both locations - Pepsi, tea, or water at PV and Pepsi, Diet Pepsi, or water at MT. I don't drink Pepsi and I didn't like the tea at PV at all. I got water on one trip to PV and it had a horrible taste. Not sure why, but fortunately I had brought a bottle of Mountain Dew in. The water at MT tasted normal. Both dinners start with soup - a tomato bisque at MT and creamy vegetable soup at PV. I enjoyed the soup at MT and dislike the soup at PV, but that's just my personal taste. Both dinners also include bread, a half chicken, corn on the cob, and a half potato. PV adds a scoop of BBQ pork along with this. PV ends with a flaky apple pastry and MT ended with a slice of poundcake for my group, but I've heard this one varies. I liked both desserts. I have to say right away that I prefer the Pirates Voyage show. It's more exciting and has more variety. Note that both shows involve the use of animals for entertainment. Medieval Times heavily relies on horses for their entire show, while a few different animals are brought into PV for different portions of the show. The show at MT focuses on knights and horses - there seems to be a storyline, but I found it hard to follow. PV incorporates different elements into their show - pirates, mermaids, and other creatures - so there's always something new going on and my attention was being kept. 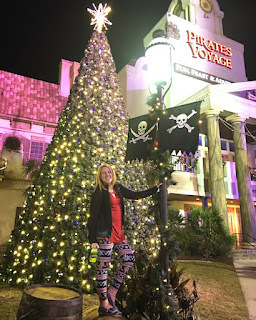 I've also been to Pirates Voyage for their Christmas show and it was really good! I'm not sure if Medieval Times does anything special for Christmas, but I definitely recommend Christmas at PV if you're there in November or December. 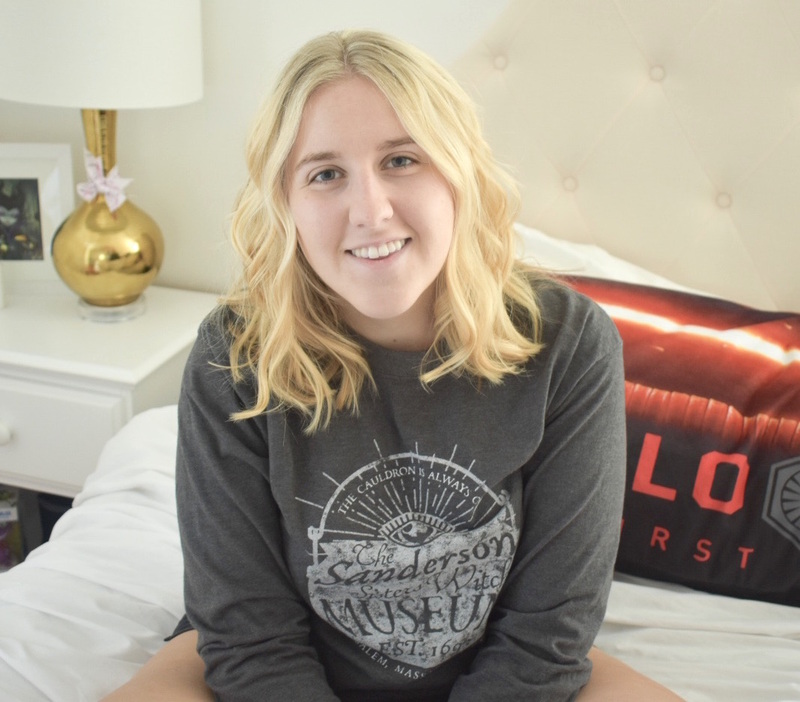 You're encouraged to arrive early for either show because you do have to check in and get your seating, but that doesn't usually take too long. MT and PV both take photos of your group when you arrive so you have the option of buying those and then you're pretty much in an indoor waiting area with everyone else until the doors open. Both places have seating areas while you wait and bars so you can get different drinks. PV has some pirates entertaining guests in this waiting area and I believe some characters came out at MT while we were waiting, but they don't have a set stage area for this like PV. Both locations also have shops for while you're waiting and I felt like Medieval Times was pushing merchandise a lot harder than Pirates Voyage, which can get annoying. While the PV shop is a separate section of their waiting area, almost all of the MT waiting area was filled with different things available for purchase. Along with this, multiple people were coming by after we were finally seated in MT trying to sell flags, additional drinks, and the photo. They try to sell you these types of things at PV as well, but it's not as frequent and pushy in my opinion. Both shows get the audience involved by having competitions throughout the show encouraging different sides or sections to cheer for their representative. My little cousin had a blast yelling "Go blue!" throughout the Medieval Times show. At Pirates Voyage, they pick families or kids in the audience for different events on the pathway beside the pool and again, each side cheers for the team that came from their section. At MT, the knights pass out roses to different audience members and at the end, they crown a "queen" from the audience. While the food at Medieval Times was definitely my favorite, I prefer Pirates Voyage overall. It's a newer show and its quality shows that. PV focuses more on the details and offers something for everyone in their show. Considering the adult prices for PV are a little cheaper than MT without any discounts, I think it's definitely the best value. Just remember to bring a bottled drink in your purse if you don't like Pepsi! If you get a chance, I would absolutely visit both shows so you can compare for yourself and have both experiences - but if you can only do one, go for Pirates Voyage!